As PutnamEco suggested in a comment to our recent Keep2Go waterproof tubes post, baby soda bottles are great low-cost storage capsules. 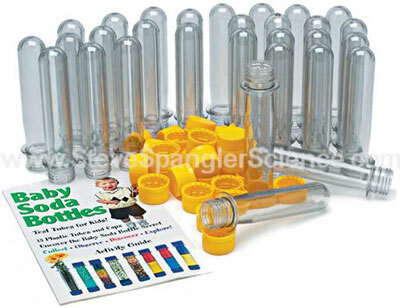 Sold in bulk via Spangler Science and other vendors, baby soda bottles often feature straight tubes with flat caps. If you want to add Keep2Go functionality to baby soda bottles, take a look at these Cap2Go travel caps, which offer a loop-cap and carabiner combo.